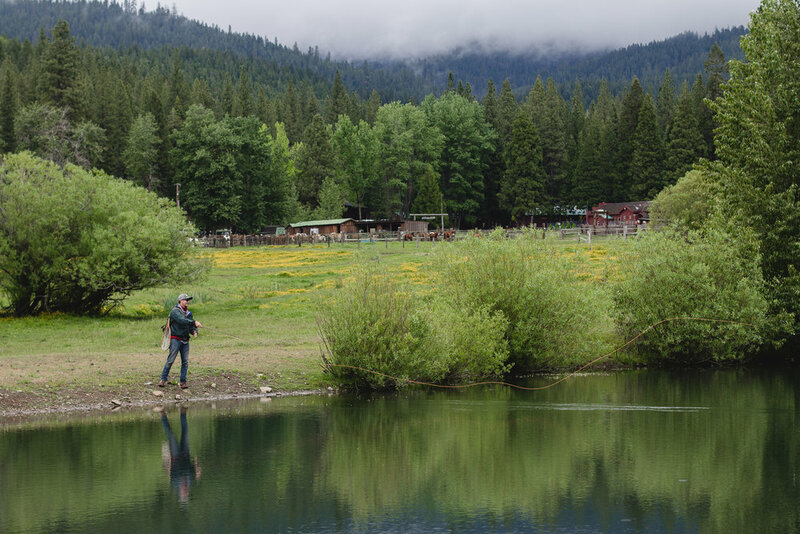 Plumas County is home to some of the most coveted fly fishing in California. Just steps away from the middle fork of the Feather River and driving distance to several of the headwaters of California’s major waterways, the region is known as Lakes Basin because of its spattering of high-altitude lakes. For a small fee, our expert guides are available for hire to show you the secrets of the streams and rivers in the Lost Sierra and Lakes Basin. 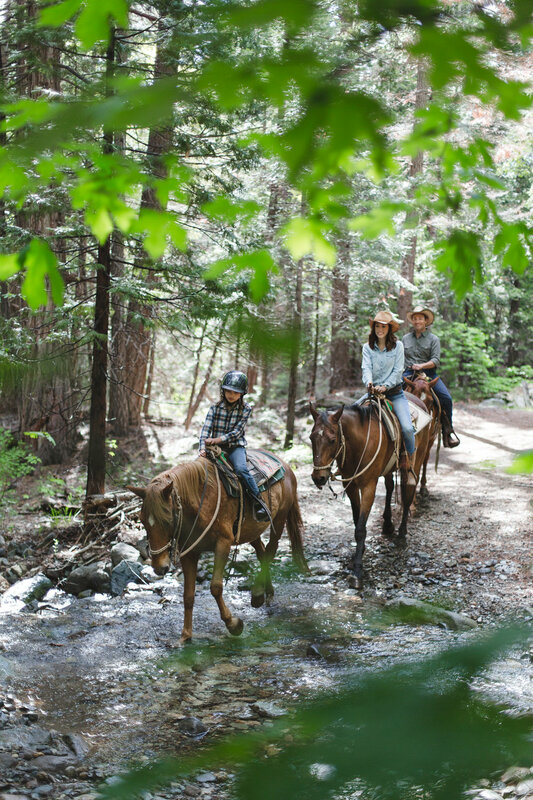 This itinerary is based on a four-day retreat blending the best streams and rivers around Plumas County with a taste of ranch life. 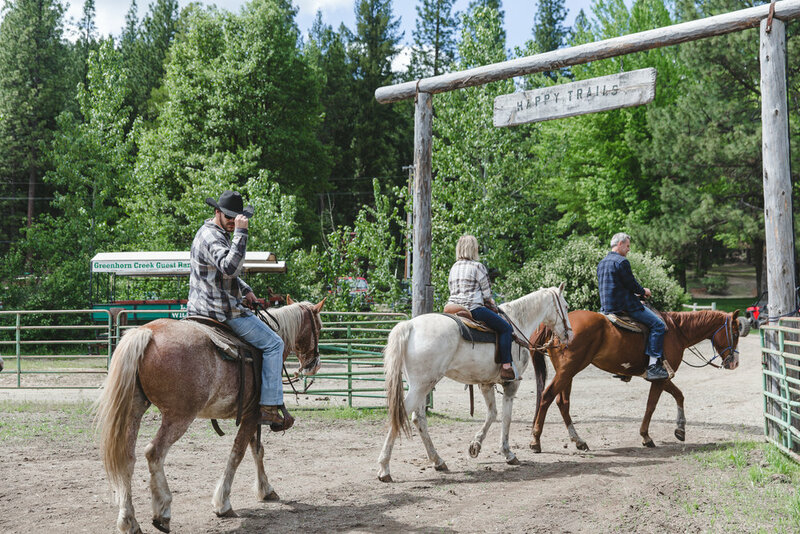 Arrive at the Ranch, settle into your lodge room or cabin and prepare for your first riding lesson, then canter over to the Kitchen for lunch with the other Greenhorns. 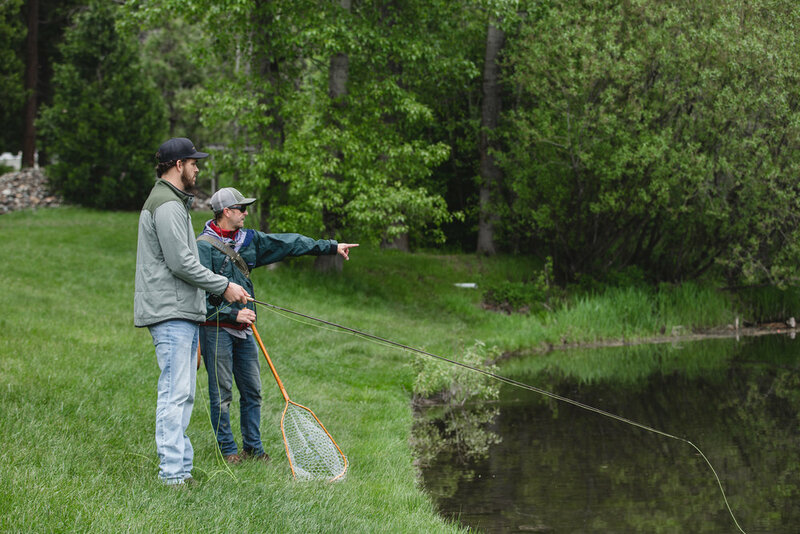 In the afternoon, you’ll connect with Orvis-certified flyfishing guide Mike Pease to begin mapping out the next few days together. 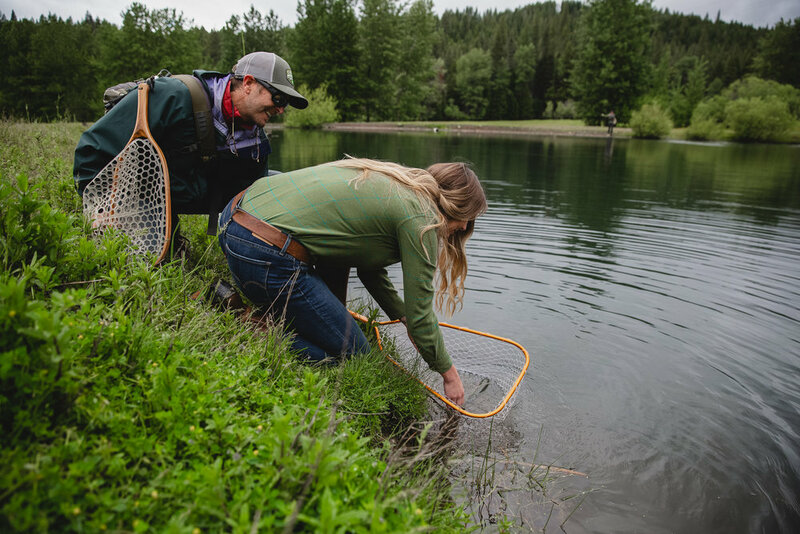 Mike will review your gear, your flies, and your skills on the ranch and at the ponds to get a better understanding of your level of experience before determining the best approach to your private guide tour of the next several days. Together, you’ll map out the course and sections of river you’ll seek out together. Mike may recommend additional flies or routes you didn’t consider before making your way to this section of Northern California. You’ll map out an exact plan for the next day, likely starting out early in the morning before the rest of the Greenhorns make their way out for breakfast. 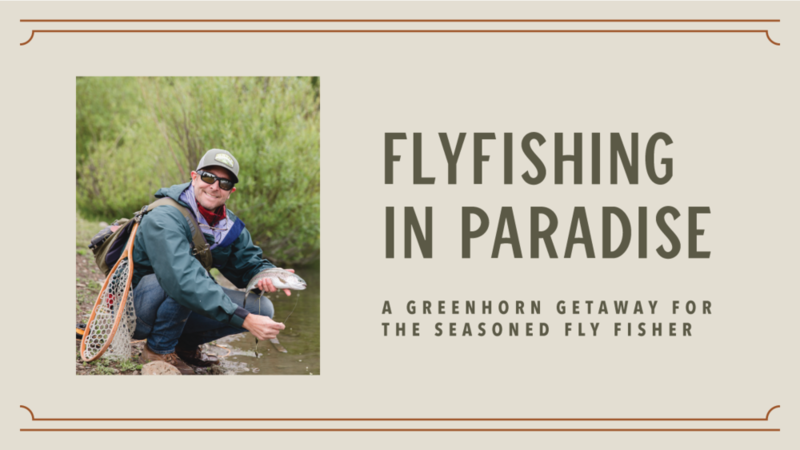 Settle down with the rest of the Greenhorns for drinks, dinner, and some fireside chat before your private fly fishing adventure begins. Set out for a private guide trip with Mike to find the best sections of stream in the region. Fish until your heart’s content and the trout stop biting. Eat breakfast between casts al fresco, riverside. Make your way back to the ranch for lunch and some rest between activities when the sun is high and the fish are quiet. In the afternoon, finish out your saddle skills test so the wranglers can test your trail worthiness on a horse. Then, make your way out for the evening trail ride to give your arms a rest. Before the sun goes down, return to a preselected easy-to-access river spot. Mike will help you know where to go! Fish during the golden light and to your hearts content. 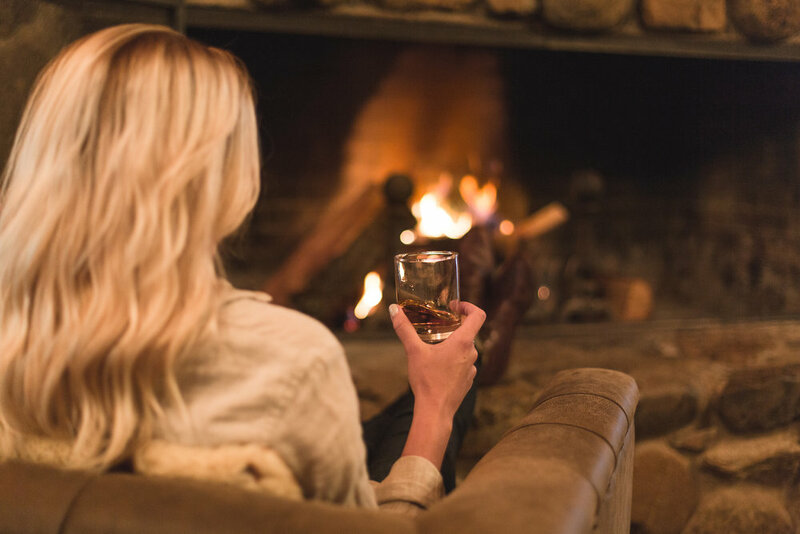 Make your way back to the ranch safely so you can enjoy some fireside whiskey tasting with the rest of the group. Set out for the second day of a private guide trip with Mike to begin the master the places he’s taken you with the newfound understanding of the streams here and the fish in them. Make your way back to the ranch at your leisure. With a new understanding of Plumas County streams and trout, you now have two days on your own with the insight from a local guide. You’re set loose to fish at your leisure with the local knowledge. Enjoy! We hope you’ll join us for whiskey, trail rides, meals, archery, lawn games, frog races, karaoke, and any other Greenhorn activities between trout-whispering excursions.